The popularity of object-oriented concepts, design, and programming has stimulated the need for a database system that enables a straightforward process to store and retrieve object instances. Object-Oriented Oracle explores object-oriented features and techniques in Oracle DBMS. This book describes comprehensive and fundamental aspects of object-oriented data modeling and implementation in Oracle. It covers the implementation of structural aspects of an object model, including object types, collection types, object referencing, nested tables, and inheritance structures, as well as the behavioral aspects including encapsulated member procedures and functions. Object-Oriented Oracle discusses the complete cycle of database design using object-oriented concepts, implementation of object-relational Oracle, and data manipulations using member procedures/functions and object-relational queries. 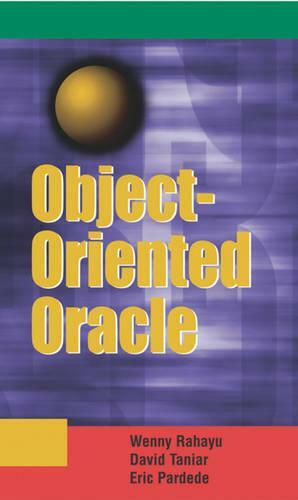 Object-Oriented Oracle contains a wealth of information, such as case studies in every chapter, as well as exercises at the end of each chapter which helps readers to absorb the topics better, all reasons this book is a necessary collection addition for academics, researchers, educators, and IT professionals everywhere.